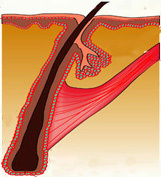 A number of investigations may be advised at the first consultation for hair transplant. These are necessary both to find out any causes for hair loss and also to ensure suitabilityfor the surgical procedure. Blood routine investigations - hemoglobin, WBC, ESR. This list is only an indication - all these tests may not be required or some additional tests may be given depending on the patient.